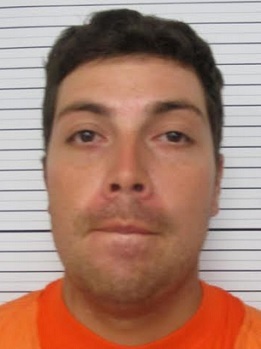 An Artesia man was arrested Sunday in connection with the shooting of two other residents during a gathering at a home on Seventh Street. Artesia Police Department officers were dispatched early Sunday morning to a home in the 500 block of North Seventh Street in reference to shots fired. Upon arrival, they located one male subject lying under a carport, bleeding heavily, who informed them he had been shot in the groin area. After entering the residence, officers located a second, female victim lying on the floor. Witnesses informed APD they were familiar with the shooter, identified to officers at that time as Arturo Derek Duarte, 30, of Artesia. 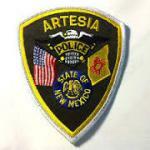 The two victims were transported to Artesia General Hospital. There, investigating officers first made contact with the female, who had a wound to the top of her left foot. According to the report, the woman told officers Duarte had been arguing with the male victim, and the pair exited the home. She stated that once Duarte reached the mailbox, he turned and fired a shot at the male. Officers next made contact with the male victim, who was suffering from wounds to his upper right thigh and groin area. Police observed there appeared to be three wounds. The male victim was unable to speak with police at that point. After returning to the scene to interview witnesses, officers learned Duarte had been chatting online with a friend of the victims in the preceding days. The woman asked the two, who, according to the report, were also familiar with Duarte, if he could come to the residence, and they agreed. One witness told police there had been “tension” between Duarte and the male victim throughout the evening and they had “wrestled” a few times but “worked it out.” Soon after, the two exited the home, and the shooting occurred. A warrant was subsequently issued for Duarte’s arrest on charges of two counts of aggravated battery with a firearm, a third-degree felony, and one count of felon in possession of a firearm, a fourth-degree felony, after it was discovered he had pleaded no contest May 22, 2008, to felony trafficking of a controlled substance in a Las Cruces district court. Duarte was taken into custody Sunday evening.